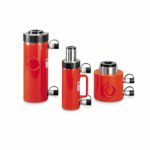 Protier offer a wide range of Aluminium & Steel Hydraulic Cylinders for every application. Simple and effective, our Hydraulic Rams couple to a Hydraulic Pump to enabling them to lift huge loads for Lifting, Pushing or Pulling. Low profile, Long Stroke, Pad cylinders, Locking collar, High Tonnage, Spring Return, Hollow Rams are just some of the configurations we offer. Protier provide a wide range of Hydraulic Pumps for all applications. 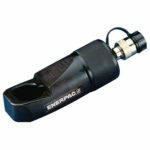 We offer Manual Hand Pumps, Manual Foot Pumps, 110v Electric Pumps, 240v Electric Pumps & Air Powered Pumps. 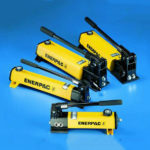 Most of our hydraulic equipment opperates at 10,000psi (700bar), but we also offer higher & lower pressure equipment. All our hydraulics come complete with quick release couplings to ensure safe reliable use. 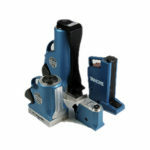 Protier offer a full range of Jacks from the worlds leading manufacturers. Tangye Hydraclaw – 5 tonne capacity on head or using the toe, can be used both vertically & horizontally operation. Tangye Hydralite Jacks – Heavy Duty Aluminium Jacks with capacities up to 100 Tonne, available with Claw / Toe for lifting reduced capacities at low height. Hydraulic Bottle Jack – General use bottle jack for lifting & pushing applications. Hydraulic Gauges are essential for monitoring the pressure being exerted on a Hydraulic System. 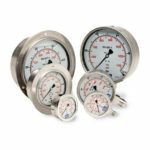 We offer a wide range of Gauges including digital gauges with peak read-out to record maximum pressure. Hydraulic Valves are essential for controlling the flow to various parts of the system, these are usually housed in a manifold to allow for control of individual Rams. 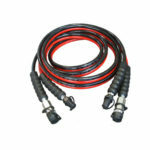 Protier offer a wide range of specialist hydraulics. Nut Splitter – Hydraulically controlled nut splitter for removing rounded/seized nuts & bolts. 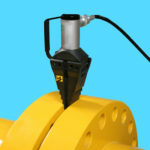 Hydraulic Flange Spreader / Wedge – Designed to safely spread flange joints. Hydrostatic Test Pump – Air, Manual & electric pump for testing hydraulic systems.